At NAB 2019, in booth SL3308, Telestream, a provider of workflow automation, processing and quality monitoring and management solutions for the production and distribution of video, will unveil Vantage Cloud Port, a groundbreaking new approach to media processing workflows whether in the cloud, on premises or both. Available in April 2019, Vantage Cloud Port will be shown publicly for the first time at NAB where attendees will be able to see first-hand how the powerful Vantage Media Processing Platform can seamlessly create hybrid cloud-based deployments with predictable, SaaS pricing. Vantage Cloud Port allows seamless Cloud execution of Vantage processing actions using containerized micro-services with engines identical to on-prem services. These modular, orchestrated building blocks can optimize both brownfield and greenfield deployments. Any existing or new Vantage installation can seamlessly transfer specific processes to and from the cloud provider of choice. xisting Vantage users also gain access to cloud-capable actions even if those actions are unlicensed in their on-premises Vantage system. Most significantly, Vantage logic is configured to decide if processing is to be done on-premises or in the cloud based on media location or domain utilization. Vantage Cloud Port couples the power of Vantage with the simplicity of SaaS. 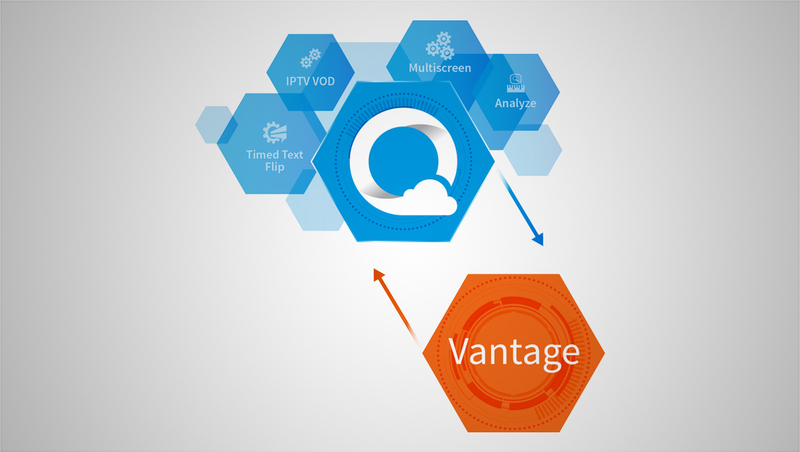 With 100 percent OPEX predictable SaaS pricing, Vantage Cloud Port, running on Telestream Cloud, represents a simple, deterministic approach for billing based on output content minute. A single vendor, multi-cloud SaaS model means one bill to pay for execution, compute, and management. Compute resources are deployed in whichever cloud provider hosts the media.